Volkswagen of Alamo Heights is your source for new, used, and certified pre-owned Volkswagen Tiguans in the San Antonio TX area. View our inventory online, visit us in person, or call us today at (210) 828-1201 for a great deal on a Volkswagen Tiguan. We look forward to serving you. Sí, se habla español. Where Can I Find Volkswagen Tiguan CUVs for Sale Near Me? Are you asking yourself, ‘where can I buy new & used Volkswagen Tiguan CUVs for sale near me?’ Volkswagen of Alamo Heights offers an exceptional selection of new, used & certified pre-owned Volkswagen Tiguan Compact Crossover CUVs for you to browse and test drive in San Antonio, TX Contact us today to find Tiguan pricing and availability..
Why Choose the Volkswagen Tiguan? We understand there are plenty of choices in the cookie-cutter world of compact crossover SUVs. But suppose there was an entrance into this crowded field that offered drivers more while breaking the SUV mold? Welcome to the Tiguan’s world. Your ticket to “more” awaits. The Tiguan’s 2.0-liter TSI engine is the ideal blend of economic power. Boasting a mileage rating of 22 mpg on the city streets and 27 mpg on the highway, this 184 horsepowered turbocharged road warrior will make short work of even your longest trip. The Tiguan’s cavernous interior is filled with 21st-century technology designed for the whole family. User-friendly on-screen infotainment features include all the latest high-tech gadgetry, featuring smart phone integration and Driver Assistance features that will certainly make your next family adventure more fun than your destination. Our company may not have invented automotive safety technology but with the Tiguan’s safety features like our automatic post-collision braking system and Intelligent Crash Response System (ICRS), we’ve surely perfected it. 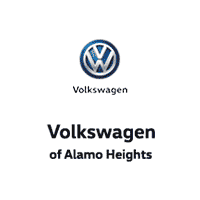 Stop by Volkswagen of Alamo Heights today to test drive a new, used, or Volkswagen certified pre-owned Compact Crossover CUV in San Antonio, TX. Our knowledgeable team of Volkswagen specialists are standing by to help you find the perfect vehicle. View our inventory online, stop in, or call (888) 928-1107 today to learn more. We look forward to serving you!